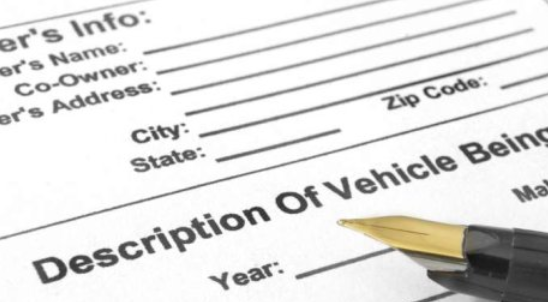 You need paperwork to register and title your newly purchased vehicle in your name. Generally, paperwork requirements vary depending on where you are buying the vehicle from. If you buy a vehicle from a dealer, they will process all the required paperwork on your behalf. You only need to concentrate on finding the best car and if the deal is sweet, you can leave the rest to the dealer to finalize paperwork with the Tennessee Department of Revenue (DOR). If you purchase a car from a private dealer, you will need to process the required paperwork yourself. You need at least a signed title from the seller and submit it to the Tennessee Department of Revenue (DOR) together with supporting documentation to register and title the car in your name. This title must contain your signature and the seller’s signature. Tennessee State also has many online forms that you can use in this situation. The seller must notify you if the vehicle has a salvage certificate. In most cases, sellers may provide misleading information about their vehicle. Conduct a thorough inspection if you suspect this. Don’t be fooled into purchasing a vehicle without a title. A title is an important document that shows proof of vehicle ownership in case of any question challenging the legality of the vehicle. If the title is missing, lost or damaged, ask the seller to apply for a duplicate copy and give to you. The bill of sale is not required as part of paperwork needed when buying a car in Tennessee. However, you need this document to serve as proof of purchase and protect you when questions arise about the legality of vehicle ownership. You and the seller must fill all the sections of the title and sign it before submitting the application to the Tennessee Department of Revenue (DOR). You must then take this form, along with Form RV-F1317001 (Odometer Disclosure Statement) to your local Tennessee Department of Revenue office. You can also transfer the license plates and registration from your previous vehicle. All you need is to submit your current registration. You will be given a new license plate within the same day. NOTE: If you live in Rutherford, Sumner, Wilson, Davidson, Williamson counties, you must submit an emissions test when registering the car. A vehicle history report is an important report with detailed information about the car that you are about to buy. This document contains information such as accident history, damage details and other useful information. Without this information, it may be hard to determine the condition of the vehicle you are buying and end up buying a vehicle that you may need to repair the whole of your life. You can use a vehicle history report to verify the exact odometer reading of the vehicle you are buying.